‘Security Token Offerings’ – The trio of the terms has been the reason behind the transformed perception of the term ‘offerings’ in the crypto-market. Any person who’s been blocked up and chained into (pun intended) the crypto-asset landscape would be aware of the focus slowly but steadily shifting from ICOs (Initial Coin Offerings) to STOs (Security Token Offerings). ICOs, as lucrative as they are, present themselves along with a dubious bundle of attributes. ICOs represent unregistered security with no regulations and tangibility, whereas STOs and security tokens are asset-backed and regulatory-compliant. On the surface, STOs might seem like an investment option that investors would love, but the hard and sad reality is that it is not! ICOs were open to everyone – you, as an investor, only needed to be aware of this offering, and you could buy the utility tokens with crypto or fiat currency. 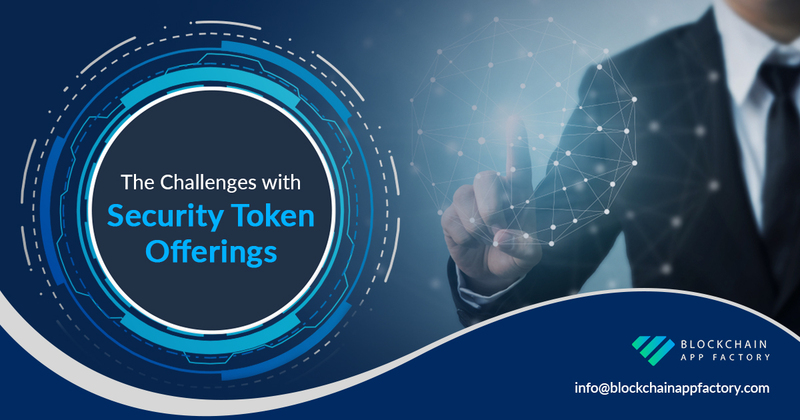 STOs, however, are subject to quite some regulations, some of which restrict the number of investors considered eligible to buy the Security Tokens. This restriction would mean that the Security Token might not always find eligible buyers. The fact that STOs lock up the finds for a year is a major deterrent for investors – even with the assured returns, the investors have a feeling that the risk-to-gain ratio looks far more profitable in ICOs than STOs. The term ‘speculation’ is not quite positive in many ways! It is the ‘speculation’ that introduced the element of uncertainty to ICOs. However, investors have always been basking in this speculative nature of ICOs, which STOs lack! STOs are based on a real-world asset from which the token derives its value. The ‘tangible’ nature of the STOs might prove an advantage in the long run, but when investors would like to reap 10x returns based on speculations, they might choose ICOs for STOs. STOs might give assured returns but it might take quite some time. The factors that make STOs better – being backed by tangible assets, the proportional closeness of the token-price to the Net Asset Value (NAV) – have turned out to be the very curses that keep investors away. Anything said, 12 months is an exorbitantly long lockup period in the crypto asset market. On one side, there is the uncertainty, the speculativeness and the general inhibition that deter investors, and on the other side, there is a constant effort to introduce the crypto-dimension to the school of traditional investments. Security Tokens are often thought to be the most logical avenue to create a confluence of these two! The problem, however, is that there is a knowledge-gap on both ends. The crypto-world that has been always used to tokenization of intangibles finds it hard to accept that real assets can be tokenized. On the other hand, the investors who are relatively inert and confined to the classical definition of ‘investment’ find it hard to accept the entire hullabaloo about blockchain and tokens. This, of course, is the usual inertia for anything revolutionary. When we have seen IBM predict ‘a need of a maximum of 5 computers around the world,’, these hiccups are bound to happen for something like cryptocurrency – the shroud of mystery only adds to the resistance. Once a new wave of crypto-aware investors enter the market, and once the regulation becomes either too mainstream or too relaxed for all investors to invest in STOs, and once the demand-supply gap reaches ideal levels, it will just be a matter of time before STOs become one of the most dependable avenues. It would act as a perfectly profitable confluence of the awesomeness of crypto and the tangibility of real-world assets! Let us not forget that investors don’t invest because of buzzwords like ‘smart contract’ and ‘blockchain’ but only for profits! Here’s our 2 cents… or should we say 2 Satoshis! ?